Her I sit, with a sleeping–finally sleeping–toddler on my lap, quietly watching fireworks and a small plane that’s circling the valley. The boys and their dad have gone to find a better view and now that the little girl has gone to sleep, it’s kind of nice here. Quiet, in a way. I see the plane making its arc over the fireworks to the north. In a moment it will curve under the Big Dipper again–or maybe its trip is over. 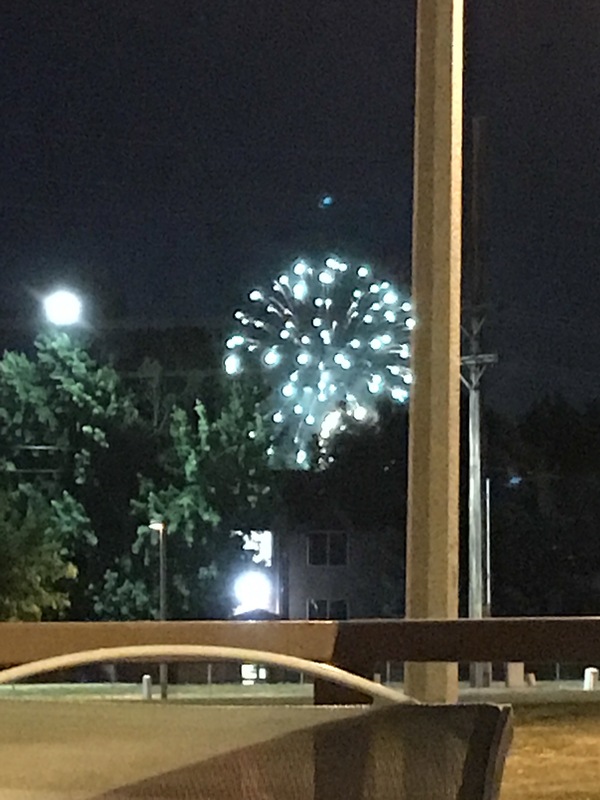 There’s the finale and I hear a neighbor clap. The two-year-old shifts in my lap. I’d better put her in her bed before her brothers get back. But I think I could sit here all night.